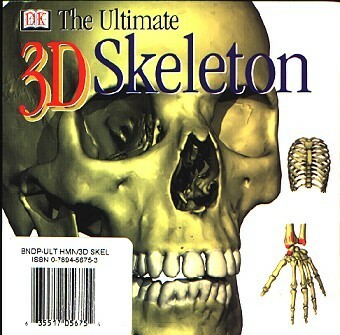 Ultimate 3D Skeleton uses advanced 3D imaging to show each bone in detail and from every angle. 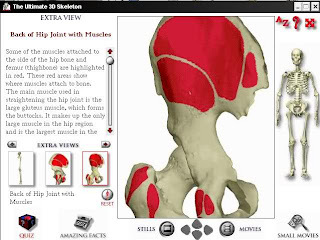 Hundreds of photographic images and videos give you a complete and dynamic look at bones and joints. Examine Bones in Motion! 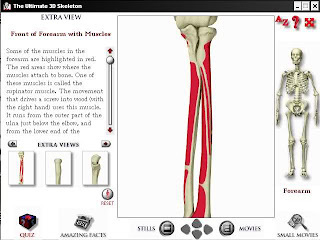 Movies show how bones enable you to sit, stand, walk, run and even swim! 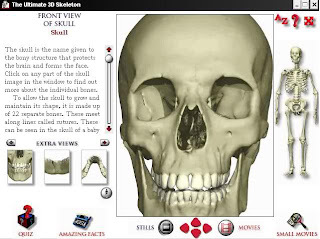 Information-Packed Screens! 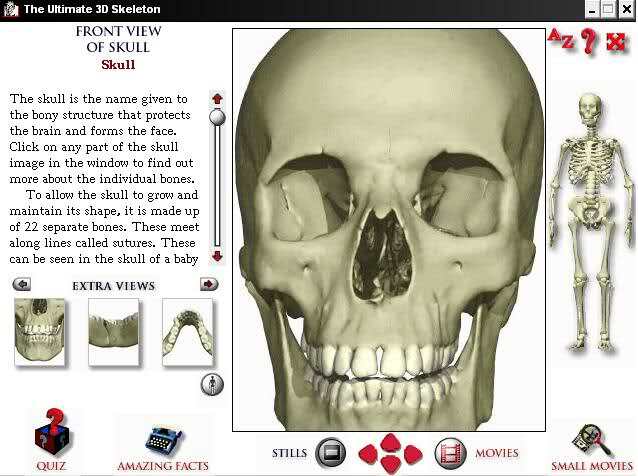 Click on any bone to hear its name pronounced, and find out all the essential facts through text, animations and videos.